Elizabeth Huntley is an experienced civil litigator dedicated to child advocacy work. Liz is not only a formidable litigator, but she is also a committed child advocate. In addition to her practice focusing on complex civil litigation matters, Liz also provides legal and consulting services to government and nonprofit agencies that serve children and families. After law school, Liz clerked for not one but two judges — Judge U.W. Clemon of the U.S.District Court for the Northern District of Alabama and Judge John Bush of the 19th Judicial Circuit, State of Alabama. She brings the experience she gained from working inside the judicial system to work on behalf of her clients in handling their most challenging civil litigation matters. Her cases routinely include issues involving product liability, personal injury, financial services and governmental entities. Liz represents clients across a wide range of industries including food manufacturing, banking, machinery manufacturing and wood-product manufacturing. Committed to the legal profession, Liz is a member of the Defense Research Institute (DRI). 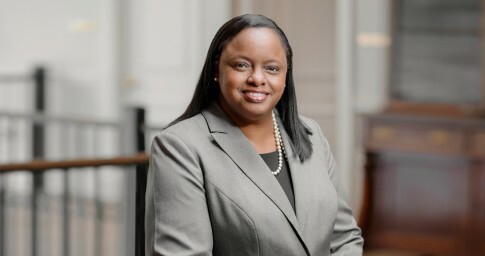 She is also active in the Alabama State Bar Association and the Birmingham Bar Association. As someone whose childhood was tainted by poverty and other challenges, Liz has become a well-known child advocate in Alabama. She serves on several boards, including the Leadership Alabama Board of Directors, the Children’s First Foundation Board of Directors, the Alabama School Readiness Alliance and the Children’s Village Board of Directors. She is also the president and co-founder of The Hope Institute. More information about Liz’s child advocacy work can be found here. Liz also serves as a motivational speaker to various groups and organizations where she challenges audiences to adopt her “no excuses” philosophy. 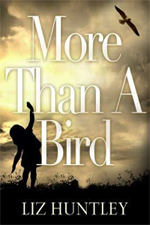 Her talks frequently draw from her memoir, More Than a Bird, which recounts her childhood journey from unimaginable darkness to radiance. She and her husband Tony are the proud parents of three children.